Field trips are valuable learning experience for kids, They get opportunity to encounter and explore novel things. Keeping this in mind the tiny tots of Nursery WIS, Bhilwara were taken for a nature walk to a garden. 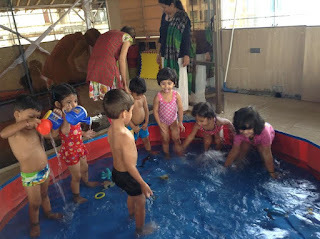 There the little ones of Nursery explored different kinds of flowers, birds, trees, insects etc. They learnt about the home of different birds. It was a fun filled educational learning experience for the kids. Witty International School, Pawan Baug organised a workshop on Memory Enhancement Technique for Primary Section (Grade III and IV) on 28th October, 2015. The session was conducted by Psychologist, Mr. Uday Karelia, parent of Ms. Mitali Karelia (Grade IV A). This seminar aimed to help students develop their memory and carry their learning throughout their life for their upliftment. It was pleasing to see students interacting with Mr. Karelia as he was very frank and friendly to the audience. The flow of the session was very smooth wherein he discussed the benefits of learning this technique like generate new interest in studies, improve concentration power, help students overcome examination phobia, able to recall and revise quickly, able to memorize difficult vocabulary words, develop self-confidence and belief. It was very helpful for our students to understand and use this memory enhancement technique through the game he played with them. Not only did the game help our Wittians to understand about this technique but also they were taken through the process on using this technique. Mr. Karelia made it easier for our students by linking their understanding to real life experiences where students were guided to first Associate, then Repeat and Visualize to use this technique. We express our gratitude to Mr. Uday Karelia for providing his voluntary service and valuable time. Friday, 30th October, 2015 was a day when the Jr.KG Wittians came dressed up as Creepy Crawled every. Where in the Witty garden. A recap was done of all the creepy Crawlies taught in the class. Students had fun in dressing up as Creepy Crawlies and enjoyed the activity. 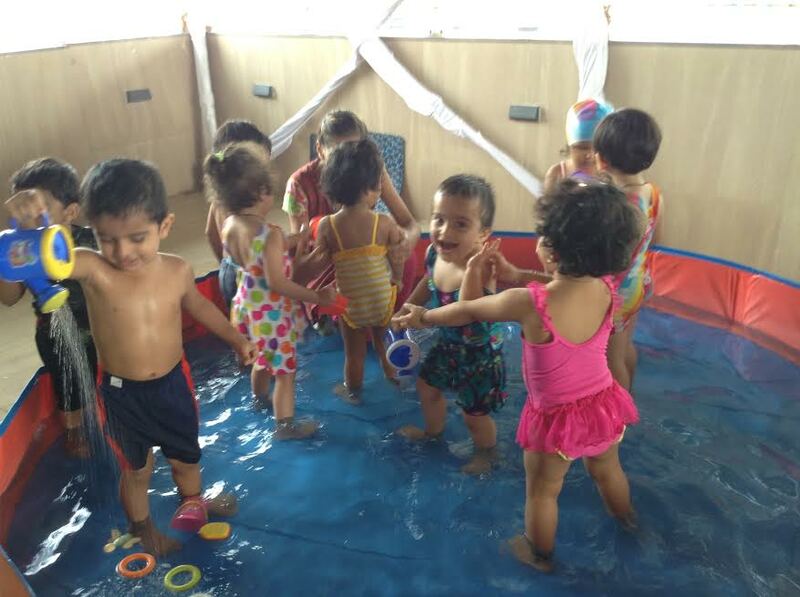 The Wittians of Nursery and PG at WIS Udaipur went jumping around the activity area as they all came dressed as different wild Animal. The little wittians of Playgroup celebrated Clown Day on Thursday, October 29' 2015. Teacher decorated the class to give it a circus look. Children came dressed as clowns. Teacher told that clown is important for the circus . They perform many styles to entertain and make people laugh. They are happy people. Children tossed the bean bag on the clown mouth and pined the nose on the clown and did colouring in the clown worksheet. 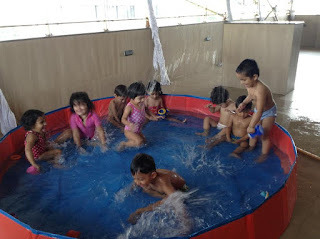 Children acted as a clown , jumped through hoopla ring and danced like clowns. They enjoyed the Clown day. 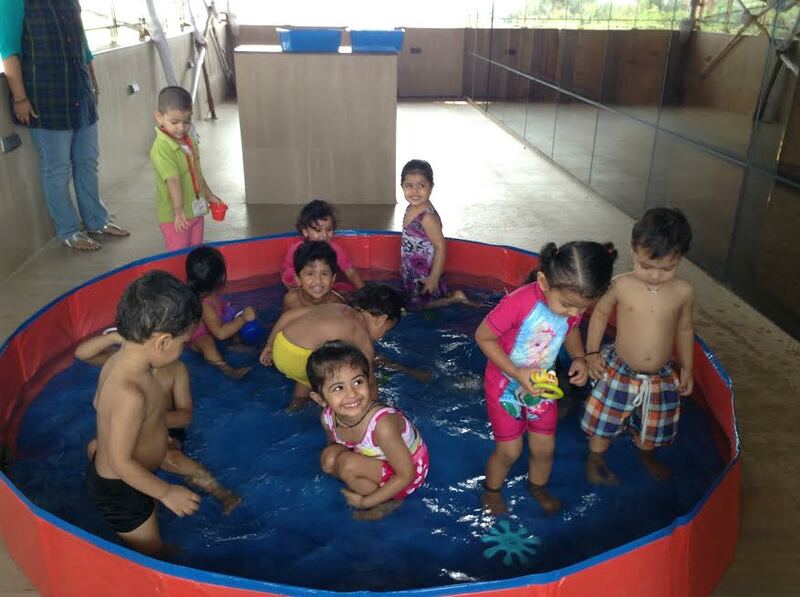 Witty firmly believes in grooming the child not only in academics but also nurturing him to become a healthy person. keeping this in mind a Dental Check –Up was organized for the Wittians of Pre- Primary on Thursday, 29/10/2015. The renowned dentist of Lake City Doctor Priya Agarwal conducted the Dental check –Up. The Children very enthusiastically participated in the Dental Check- Up. 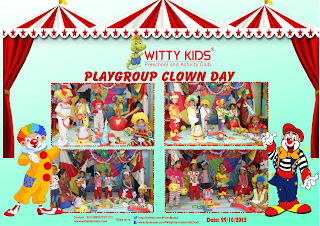 On Thursday, 29 October 2015 little Wittians of Playgroup class came dressed as Clowns with funny faces to celebrate "Clown Day". The class was decorated as a circus. 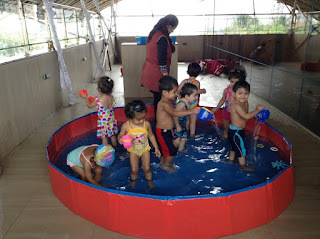 Children were encouraged to do activities such as somersault, dance on the music, crawl through hoopla rings, pin the nose on the clown, laughed loudly like clowns and ended with an art activity. Children enjoyed a lot and had great fun!!! 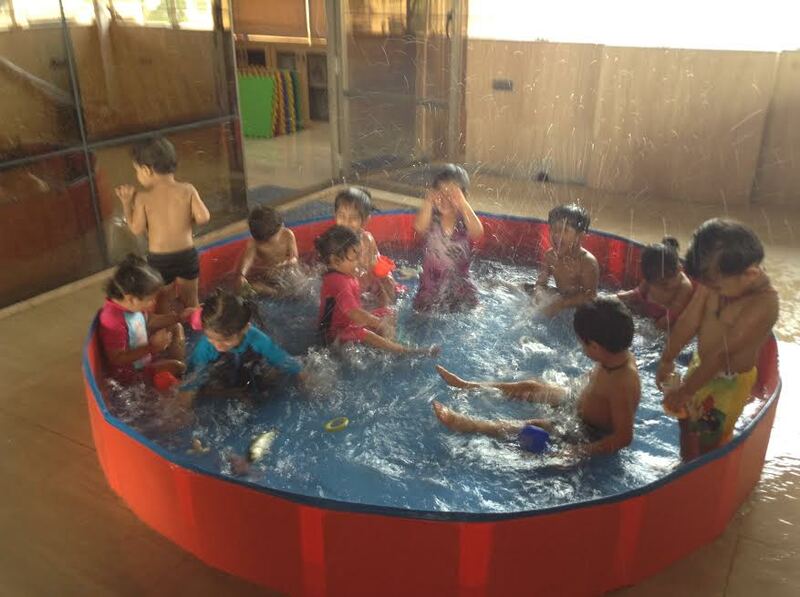 The sparkling stars of Playgroup celebrated Clown Day on 29.10.2015 with great fun. The kids came in dress of clown. They learnt that clowns perform and entertain in circus, they make us happy. They also did the colouring in worksheet of clown. Clown Day was a fun learning experience for kids. The little Wittians of Playgroup, enjoyed water play on Wednesday, 28th October, 2015. 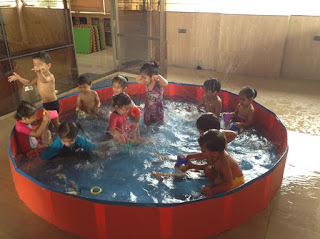 The objective of the water play is to develop their physical skills and advance their social and emotional skills.